If your business relies on anything, it relies on precision. Being precise with scheduling, shipments, orders, and anything else you can possibly think of is what sets your company above the rest and ensures your clients consistently high-quality service. But if you are not having your scales professionally installed and calibrated, you can be sure that you are letting your standard of precision slide. So what can you do to fix this problem? Luckily, S.W. Betz is here to help! There is a lot that depends on the weight of a given item or shipment. Its weight can determine where it can be safely stored, how expensive it will be to transport it, and what sort of purposes it can serve. Even something as seemingly negligible as a tenth of a gram could make all the difference when it comes to getting good use out of your equipment. That is why when you initially have your warehouse or facility’s scales installed, you will need to have them properly calibrated. Scale calibration ensures that the measurements you are given are always the correct ones and that you will never just have to “eyeball” or estimate again. Even a factory-calibrated scale can be off from time to time, and so during installation its accuracy should be verified. As important as that initial scale calibration is, the subsequent ones are equally important. Over time, scales can begin to read weights incorrectly or become damaged in such a way that it affects their ability to give reliable measurements. At best, this is a major inconvenience and at worst, it can end up costing your company money! By scheduling regular scale maintenance, you can ensure that your scales are always functioning at their best and that they do not start to give inaccurate readings to the detriment of your bottom line. Whether you need a recalibration done or a repair made, the experts from S.W. 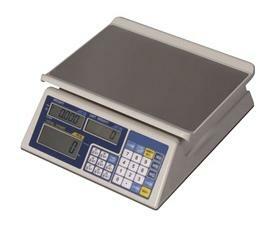 Betz can provide all of the scale services that your Maryland business could need. This entry was posted on Thursday, November 6th, 2014 at 7:33 pm. Both comments and pings are currently closed.